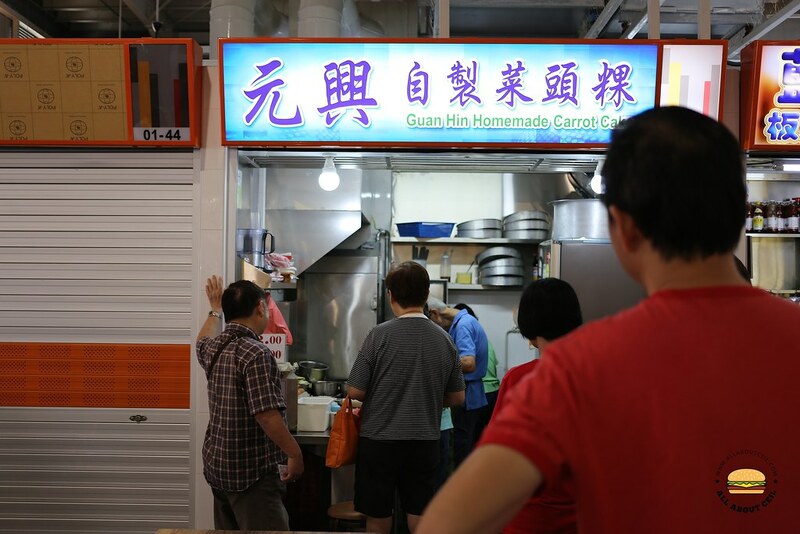 This is one of the popular stalls in the newly opened Geylang Bahru Food Centre. The light of their signboard was off when I was there at about 1 pm. I thought that they have already sold out and closing. When I was back after having lunch at one of the coffee shops nearby, the light of their signboard was on and there was a long queue in front of the stall. They moved to the Chinatown Complex Food Centre for a short while when this food centre was undergoing renovation. I joined in the queue and waited for about 15 minutes before ordering. When I was asked whether to have it with chilli which I replied, "How spicy is the chilli?" The auntie replied, "Not very spicy, can put it on the side and not add it." I decided to go with the dark version at $4. I waited for another 5 minutes to collect it. There is a choice between the dark and the white version of carrot cake at $3.00 and $4.00. It is cooked by an elderly Uncle. Those huge round aluminum trays nicely stacked on the shelves behind the stall are not a common sight as most of the other stalls are not making their carrot cake these days but using those from factory made. This elderly couple is still painstakingly making it at the stall. I did not like it as much as I thought I would. 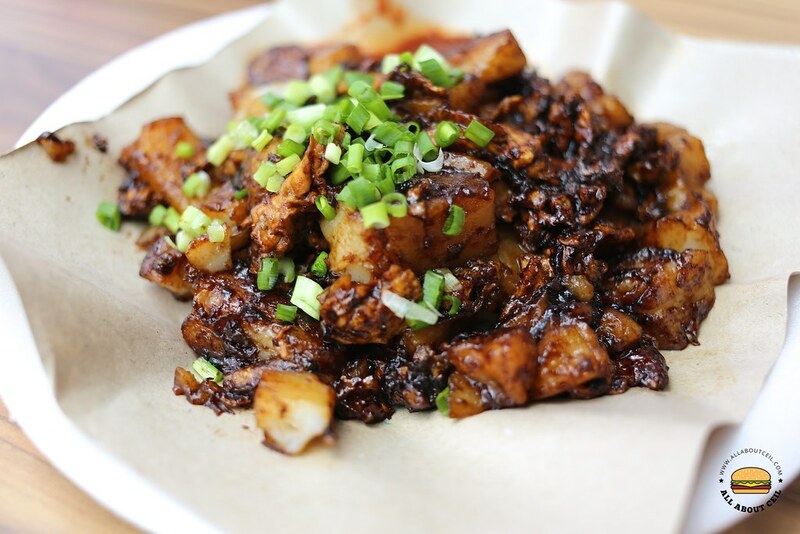 I felt it is better than the Song Zhou Fried Carrot Cake at Bedok Interchange Food Centre though. I could taste the distinct taste of dark sweet sauce with garlic and preserved radish, a generous amount of beaten egg was also added. The texture of the carrot cake was soft and moist. My dining companion said, "I actually prefer the black carrot cake by Hua Li Fried Carrot Cake at Marsiling Mall Food Centre to this." He also said, "Those pieces are too chunky and with a slightly charred flavor, also not crispy enough." 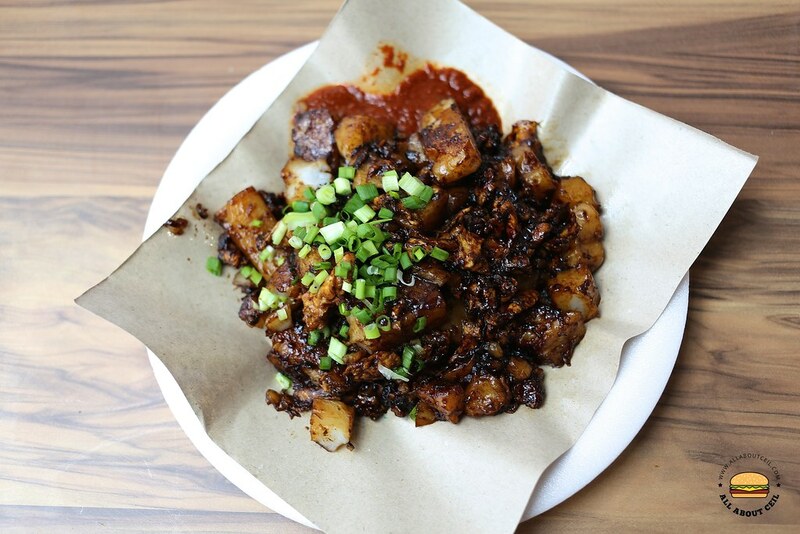 Nonetheless, this is a better than average, rather old-school handmade fried carrot cake that you do not get to find it often in this fast-changing Singapore.